In addition to being one of the world’s most exciting cities, Sydney is known for blue skies, sunshine, and a commitment to a healthy work-life balance. Working as a makeup artist in Sydney will allow you to boost your experience and skills in a booming metropolis while also making time to exercise on the beach! Training as a makeup artist is necessary in order to be seen as a serious beauty professional in Sydney, but you’ll also need to show potential employers what you can do! Read on for our tips on how to become a makeup artist in sunny Sydney, Australia! The best nightlife in Sydney can be found in the inner-city suburb of Surry Hills, a trendy melting pot of culture. Due to its many restaurants, pubs, and shops, Surry Hills is an excellent choice of neighborhood for a freelance makeup artist looking to sharpen her skills and network in the process! Beginning your career in sunny Surry Hills will allow you to place yourself at the center of Sydney’s retail and entertainment hub. You can end up becoming very profitable, as this area is often frequented by celebrities and business tycoons! Are you looking to jump start your makeup career in Sydney’s shopping and fashion district? Look no further than Paddington, where Sydney’s fashion scene thrives in designer boutiques along The Intersection and William Street. An entire shopping strip of clothing boutiques and makeup retail stores such as MAC Cosmetics, Make Up Store, and Lush Cosmetics can be found on Oxford Street—an excellent area for a new makeup artist. Both locals and tourists who flock to Paddington to shop are likely to also maintain their beauty rituals nearby, which makes this area of Sydney highly desirable for makeup artists! A laid-back attitude and a flair for creating natural makeup looks are absolutely necessary for makeup artists who work in the Manly Beach area! Located among the Northern Beaches of Sydney in a suburb called Manly, this area is known for its retail stores, cafes and restaurants, and attracts musicians and artists alike on a regular basis! Manly Beach is a lively, colorful choice for a freelance makeup artist looking to build a creative and interesting client base. As so much time is spent outside in this area, natural makeup looks are highly desired and you’ll be working with clients who are looking for fresh and radiant makeup applications. Surrounded by water, Balmain is a Sydney suburb that boasts a wealth of boutique shops, restaurants, and hair and makeup salons. Accessible by ferry, Balmain is located only 10 minutes away from Sydney, making it extremely convenient for city-dwellers to escape to a small and charming town, and allowing makeup artists to reap the benefits of these visits! Darling Street, one of Sydney’s most interesting shopping areas, contains a mix of high fashion retail stores and antique shops. It’s a fantastic choice for budding makeup artists looking to start their careers in a small community and work with middle-class and family-oriented clients. Of Australia’s many beaches, Bondi Beach is one of the most famous and well-known. Bondi Junction, an eastern suburb close to the famous beach, is well-known in its own right for Westfield Bondi Junction shopping center, which is one of the largest retail complexes in Sydney. If your makeup artistry is concentrated on every day looks with a creative flair, the beachside community of Bondi Junction could be perfect for you. Located just 30 minutes from Sydney by public transportation, this suburb attracts a great deal of tourists and locals, which will ensure you stay busy as either a freelance, mobile, or beauty counter makeup artist! With over 25 years’ experience in the makeup industry, Rae Morris is generally regarded as Australia’s most successful makeup artist. Considered a legend (and with good reason! ), Morris started out as a hairdresser in Brisbane and soon found herself working on fashion shows and shoots as an international makeup artist. A best-selling author, four-time Australian Makeup Artist of the Year, and Makeup Director for L’Oreal Paris, she’s also worked closely with the likes of Miranda Kerr and Jessica Biel. A quick visit to Rae’s website and Instagram account will illustrate her talent as well as provide some serious beauty inspiration for aspiring makeup artists! As the first Australian makeup ambassador for CHANEL, Victoria Baron is known for her wonderfully unique and creative approach to makeup. Baron has created individual makeup looks for famous Australian faces such as Rose Byrne, Kylie Minogue, and Miranda Kerr, and her work can be found in Harper’s Bazaar, Vogue, and InStyle! Follow Baron’s Instagram feed for updates on big Australian trends and creations. Sydney-based commercial makeup artist and media expert Azzi Williams is also tutor at QC Makeup Academy! Frustrated by the lack of all-natural, vegan makeup products, she founded the Williamspro brand which uses only the finest vegan and natural ingredients! Williamspro’s artisan products are individually handcrafted in Australia, with a strong focus on being kind to the skin. Follow Williamspro on Instagram to see Azzi’s amazing products in action! Under the Australian sun, models and everyday people alike opt for fresh, natural makeup to provide bare coverage while also keeping a radiant finish. Melanie Grant, the first official Skin Expert for CHANEL Australia, has earned the title of “skin whisperer”. She is dedicated to enhancing the complexions of her clients and giving them natural makeup looks while also keeping their skin glowing and gorgeous. Follow this skin guru on Instagram for proof that healthy skin is truly a woman’s best cosmetic! A lifelong dream of becoming an artist led Australian makeup artist Mia Connor to pursue a career in makeup, later taking the title of Australia’s Makeup Artist of the Year in 2015. Now an educator of makeup “Masterclasses”, Connor has trained hundreds of artists and specializes in luminous skin and highlighting the natural features of the face. The glow emanating from her website and Instagram is so bright, you’ll need to wear shades! Not only is Sydney-based Becca Gilmartin the Beauty Editor of luxury beauty publication LAUD Mag, she’s also a master of creating body art! Although Gilmartin is an expert at creating natural makeup applications, her unique body art work has truly made her one of Australia’s favorite makeup artists. Her creative and colorful work has been featured in Vogue and Makeup Artist Magazine, and she’s worked with the likes of Kimbra and Dannii Minogue. Visit Gilmartin’s website and social media channels to be totally inspired (and blown away) by her work! There are many makeup artists both in Sydney and the surrounding areas, so a stellar resume and portfolio are key when it comes to setting yourself apart as a makeup artist! The average salary in Sydney for makeup artists is slightly higher than in American cities such as Los Angeles, with a new makeup artist earning roughly $20.00 per hour and seeing significant increases as experience is gained. As a retail makeup artist, your hourly wage will depend on the cosmetic brand. As the capital of New South Wales, Sydney is a booming metropolis which means that there is more opportunity to earn a higher living. We mentioned different neighborhoods, such as Manly Beach and Bondi Junction that are smaller suburbs of Sydney, and those locations will have an effect on the salary you can expect. That being said, there may be less competition in these smaller markets—makeup artists have the opportunity to build their reputation and client base in a quieter community. Once you’re in demand, clients will be flocking to you! Starting your career in an international city is a fantastic way to learn new skills, build on your knowledge, and advance your career as a makeup artist. In a relaxed, beach-centric city such as Sydney, you’ll be able to enjoy your life and free time while being a dedicated professional at the same time! The right training will put you on the path to a thrilling career as a makeup artist! 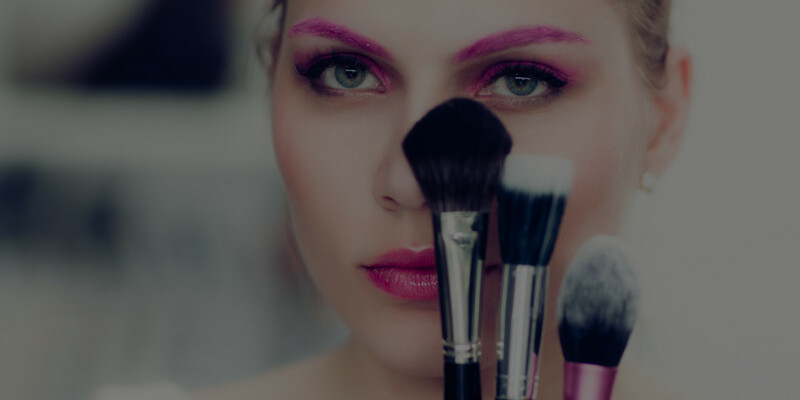 Check out the online makeup courses offered by QC Makeup Academy and get started!